The F I Gardex baffle plate flow meter is a robust device for measuring and monitoring the flow of liquid and gaseous media in any flow direction. The measured value is indicated on a scale, and is optionally available via contact switches or a current output. Standard scales are available for liquids with a density of 1 kg/l (62.43 lbs/cu ft). The accuracy corresponds to ±3% of the full-scale value. The sensor of the F I Gardex flow meter consists of a baffle plate with balance beam and operates according to the F I Gardex, design deflection method. The baffle plate causes a back-pressure in the medium, and the balance beam is deflected. This movement is transmitted via the beam to the indicator mechanism using a bellows bushing. A gear unit converts the deflection of the balance beam into a rotary movement of the pointer. The pointer movement is damped by an eddy-current brake. The bellows bushing isolates the measured medium from the display unit. 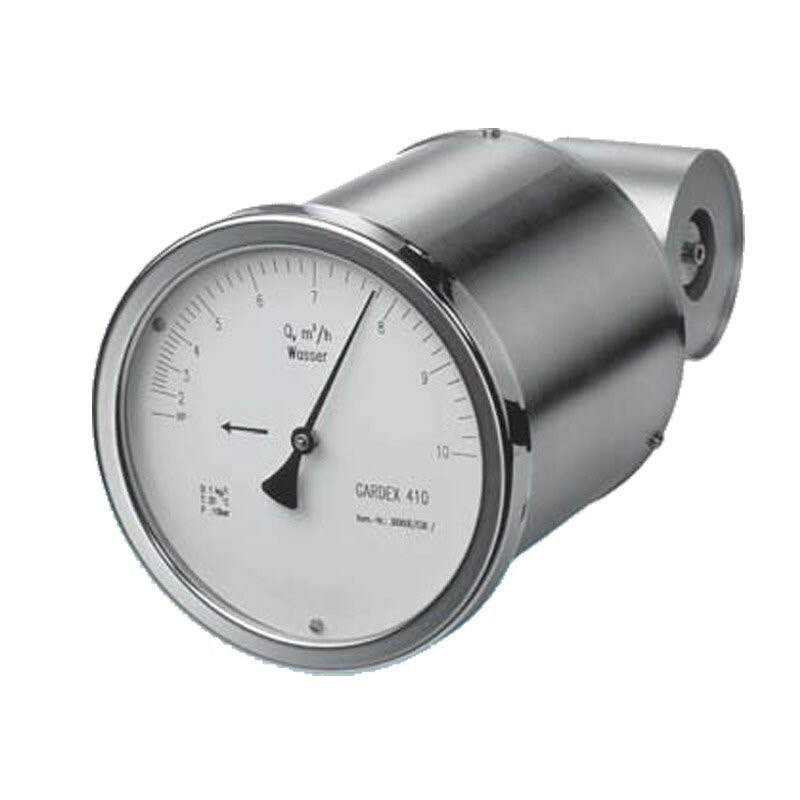 The F I Gardex flow meter is a robust device for measuring and monitoring the flow of liquid and gaseous media in any flow direction. The measured value is indicated on a scale, and is optionally available via contact switches or a current output.